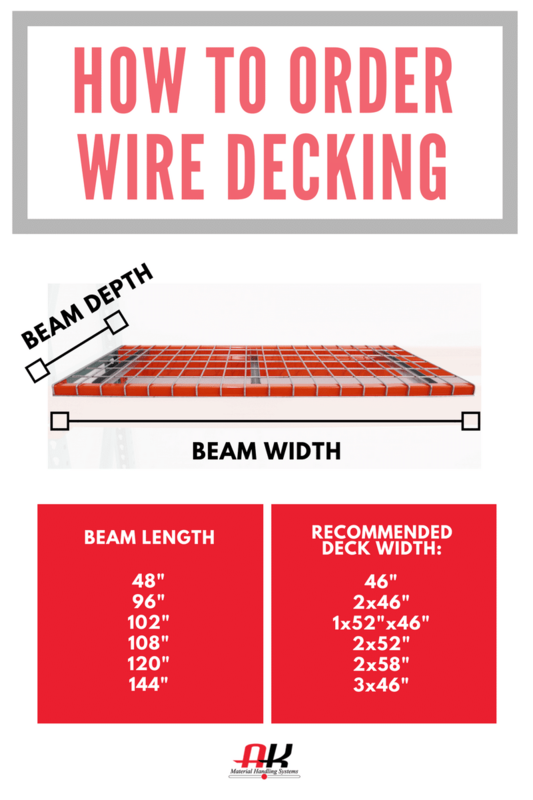 What is Pallet Rack Wire Decking? Pallet rack wire decking is what’s placed on top of pallet rack beams to increase surface area, promote warehouse safety, decrease beam deflection and often help in fire code compliance. Without some kind of surface added to pallet rack cross beams, the margin of error for lift truck operators is slim. It also means there’s no pallet support between the beams, increasing the likelihood that a pallet will give way. Wire decking solves these problems by sitting atop cross beams and creating a nice, even shelving level. 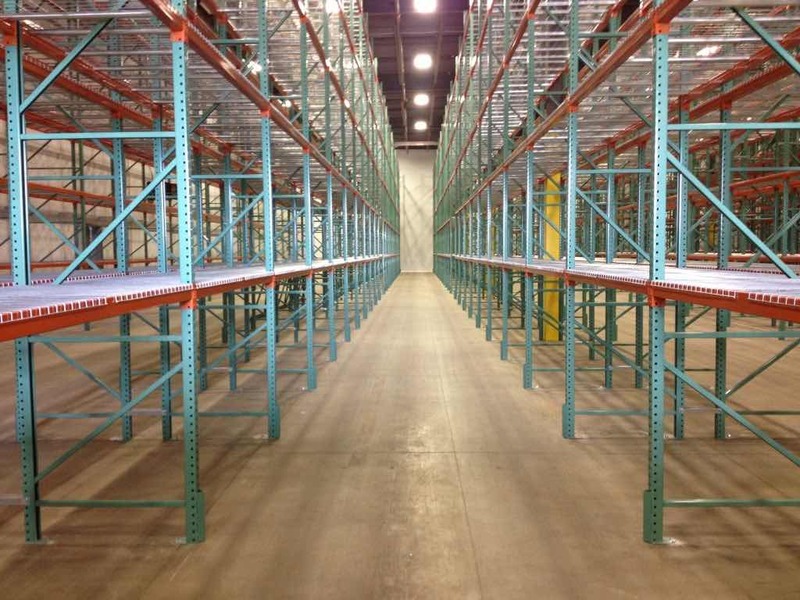 When loading and unloading pallets from selective racking, the margin for error is extremely small unless a surface is added to the beams. The top side of a pallet rack cross beam is often barely over an inch across, and if a forklift operator sets the pallet too close to either edge of the pallet rack beams it can easily result in a pallet crashing to the ground. If wire decking has been installed, this accident would’ve been avoided; the wire deck would act as a shelf, eliminating the risk associated with not placing the pallet perfectly on the beams. Because of this, most of our customers buy wire decking along with their frames and beams, and we often recommend doing so to those who have not already considered it. At AK Material Handling Systems, we carry three industry-leading wire decking manufacturers: J&L Wire Cloth, ITC Manufacturing, and Nashville Wire. Each of these manufacturers produces top quality wire decking that can meet the demands of the harshest warehouse environments, yet is priced in a way that doesn’t dent the bottom line. 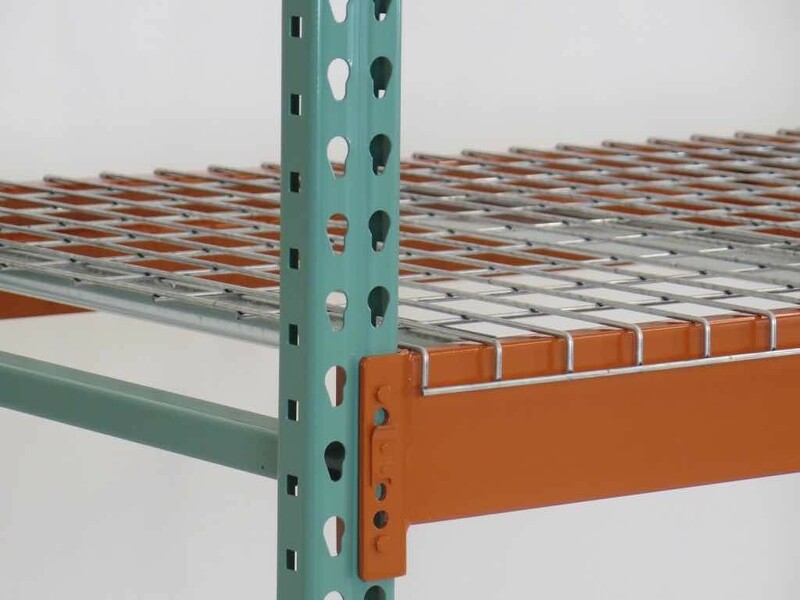 Much like our network of pallet racking manufacturers, our wire deck manufacturer network allows us to offer our customers a significant freight advantage, regardless of the destination to which the decks are shipping. 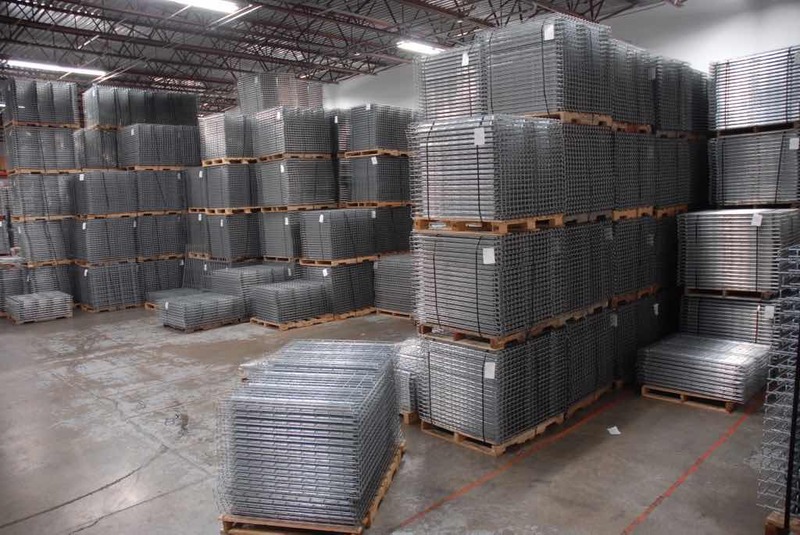 (Also see our Warehouse Wire Products) With over 10,000 pieces of wire mesh decking in stock, our Minnesota, and Pennsylvania warehouses are ready to handle your next pallet rack wire deck order. Based in Phoenix, Arizona with a second location in Columbus, Ohio, ITC Manufacturing provides much of the wire decking we quick ship to the Southwest and Northeast United States. We offer our customers a wide range of wire decking weight capacities from ITC, including custom decking for ultra heavy-duty applications. With decks available in standard/step, inverted flange, flush flat and flush waterfall configuration, ITC wire decks from AK Material Handling Systems can accommodate virtually any cross beam.